Awka– FOLLOWING the reported cases of Lassa fever in some parts of the country, the Anambra State Commissioner for Health, Dr. Joe Akabuike has warned against the habit of drinking raw garri, which might have been infested by rats carrying the disease. 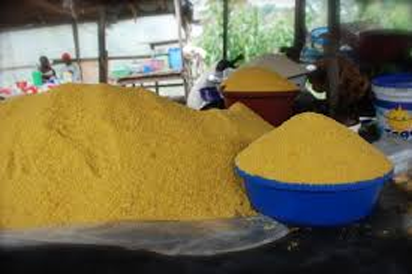 Speaking in an interview in Awka, Akabuike urged residents of the state to be mindful of the kind of garri they consume in view of the prevalence of Lassa fever being recorded across the country and specifically warned against the purchase of garri from certain parts of the country where the produce was usually exposed to all forms of contamination. He, however, assured the people of the state that there was no need to panic over the outbreak of the dreaded disease in some states of the federation, explaining that the state Ministry of Health was battle ready to ensure the epidemic did not permeate into Anambra State. He observed that good hygiene practices and taking precautions over all form of symptoms among family members and friends would go a long way towards curbing the spread of the diseases, adding that hand washing remained an effective way of preventing diseases. He also advised families and corporate organizations to adopt the use of tip taps and hand sanitizers placed in public places. Akabuike listed the establishment of Primary Health Care Development Agency, the Health Insurance Scheme and revitalization of secondary health care institutions in the state as some of the reforms being carried out in the state to ensure good quality health care delivery. According to him, the reforms were being carried out in such a way that they would stand the test of time. The post Lassa fever: Stop drinking raw garri, Anambra Commissioner warns appeared first on Vanguard News.